Alexander talks on this week's LGBTQ&A podcast about finding trans community online, his evolving gender, and acting on the Netflix series, The OA. This interview was conducted as part of The Advocate's interview series, LGBTQ&A, a weekly podcast that documents modern queer and trans history. Subscribe on your favorite podcast app and read highlights from the interview below. Ian Alexander is part of this young, new generation of LGBTQ people radically redefining what it means to be out. At 12, when Ian first got access to the internet, he immediately became fascinated with watching YouTube videos of trans people, many months later realizing he, too, was trans. "I was watching female-to-male top surgery videos, starting testosterone videos, all this stuff. I was so intrigued and connected with it deeply, but I didn't understand why. From there, he was able to connect and build relationships with other LGBTQ people, many his own age and going through the exact same things that he was. "There's this whole world out there that I didn't even know, and you can be trans, and that's OK." He says, "It just kind of blew my mind a little bit. I was very shocked." These changes to the queer and trans experience — coming out at an earlier age, fewer people identifying as heterosexual than ever before, a growing acceptance and understanding of sexuality as a spectrum, feeling unbound by historical gender norms — in large part, are being ushered in by the accessibility of information and community online. Now 17 and an actor The OA on Netflix, Ian talks on this week's episode of LGBTQ&A about these shifts, why he's not rushing to figure out or label every aspect of his gender or sexuality, and how being on The OA helped further acceptance from his mother. 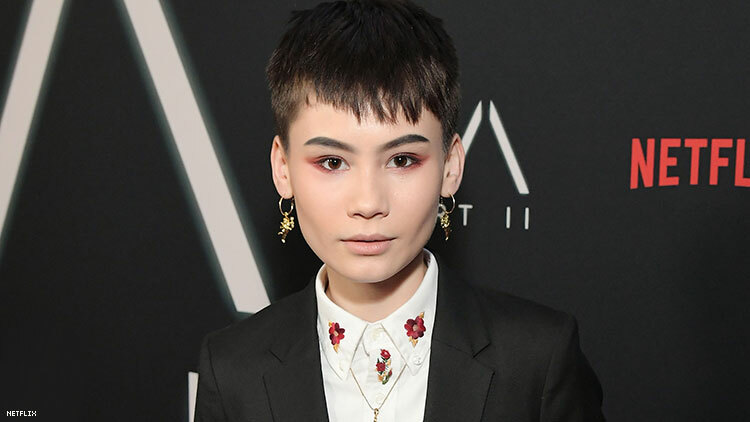 Ian Alexander's not rushing to figure out who he is. It's acceptable to try to figure things out because it's what everyone's doing, I mean, especially at my age. Sexuality and gender are very fluid things, and events of your life can influence that. How you feel about yourself, or if you're more comfortable with who you are then maybe you're more confident to explore and try new things. Yeah. I've definitely bounced around with a lot of labels throughout my teen years, but I just realized, you know, everyone's figuring it out. I'll figure it out. His experience of gender is still evolving. I think my understanding of my own gender has definitely evolved since then. I have the confidence to explore with my gender expression and my identity a little bit, and I'm not 100% positive of what my gender is. I'm obviously still going to use he/him pronouns. I'm planning on starting testosterone. I always have been for the past four years. That is still happening. I don't think that you have to be androgynous to be nonbinary, but a lot of people have that sort of close-minded perspective where they think if you're starting testosterone, that makes you not nonbinary. But you can be on hormones and also want to explore with your gender. He still enjoys wearing makeup. It took me a while to realize,"Oh, I don't have to be hyper masculine to be valid," so I sort of went through a phase where I rejected wearing anything that was considered feminine and I didn't wear makeup. I tried to lower my voice, which was straining my vocal box, and stuff like that. Then I realized I've always enjoyed makeup and fun clothes. There's no reason for me to not continue doing that just because I want people to respect my gender identity. They should do that regardless. Boys can wear dresses. Boys can wear makeup. I wish I had seen something like that, just reflecting how I feel about my gender expression. He discovered unrepresented communities online. I think the amazing thing about the internet is that you can see anyone's content. You're not limited to what's only put on television...you have access to so many communities that aren't represented on mainstream media, so you're able to find these niche communities, and then possibly discover yourself that way. Being on The OA helped his mother accept his gender identity. I was almost about to turn 14, at that time. 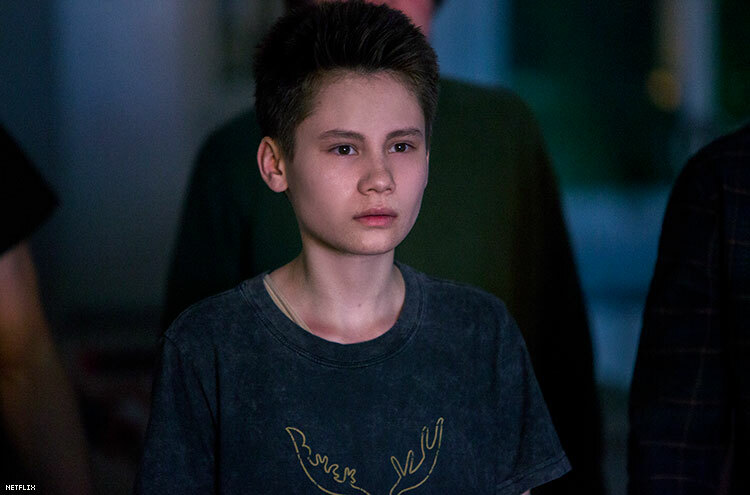 The OA was the first sort of acceptance and acknowledgment of my gender identity in a full community because I was on set and everyone just knew me as Ian and as a boy, and they didn't see me as anything else. I think that was game-changing for me to realize, "Oh my God, I can be in an environment where I'm completely accepted and supported." That's crazy because I didn't have that before, and it really helped my mom to start using my name and pronouns, as well, just because everyone around her was doing it, so she was like, “Oh, OK. This is natural. This is normal." The new season of The OA is now streaming on Netflix. LISTEN | Subscribe and listen to the full LGBTQ&A interview with Ian.